The Think! 82590 sandal's summery-design reminds us that fashion can be sunny and fun! Upper features vibrantly painted straps. Adjustable hook-and-loop straps are adorned with decorative buckles. 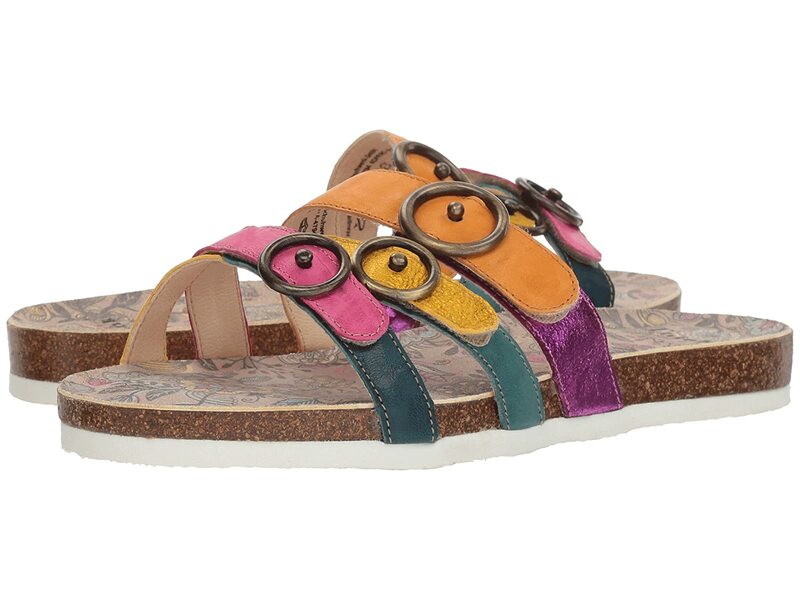 Soft and breathable leather lining throughout the sandal. Floral design adorns the footbed. Contoured cork footbed provides ample cushioning and support.